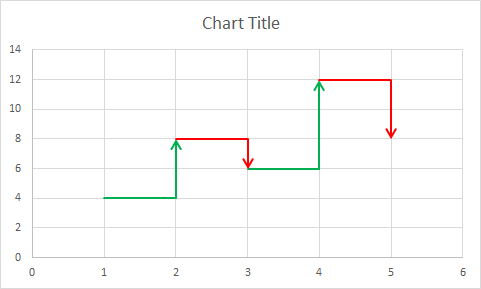 This chart is an arrow chart that has horizontal and vertical lines, positive arrows are green and negative arrows are red. 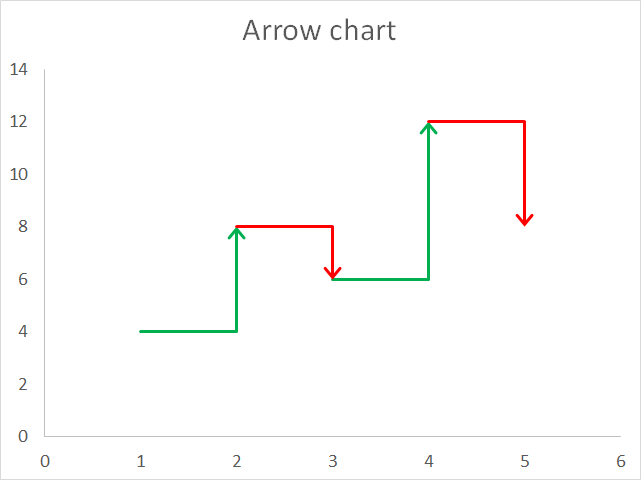 I am going to use a scatter chart to plot these lines, I will have two different series, one for the green arrows and one chart series for the red arrows. 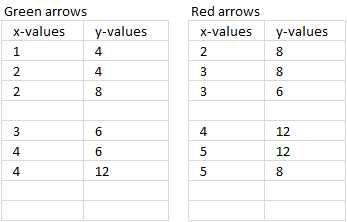 The following data set shows how I arranged values in order to get an ending arrow for each group of chart values. 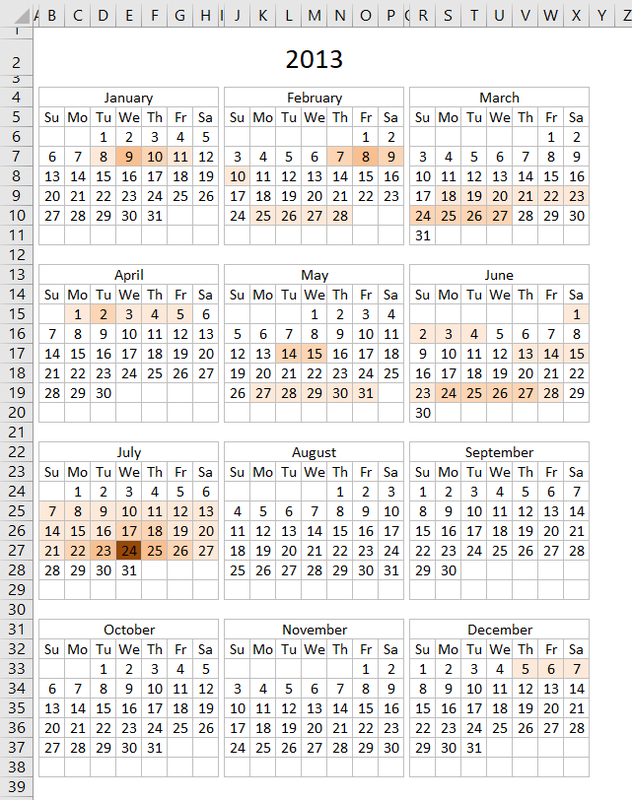 Select the first series (green arrows). Go to tab "Insert" on the ribbon. 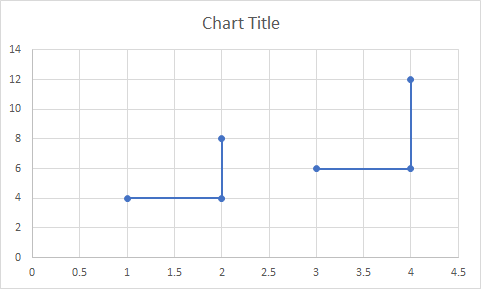 Click the "Insert Scatter (X,Y) or Bubble chart" button. Click the "Scatter with Straight Lines and Markers" button. 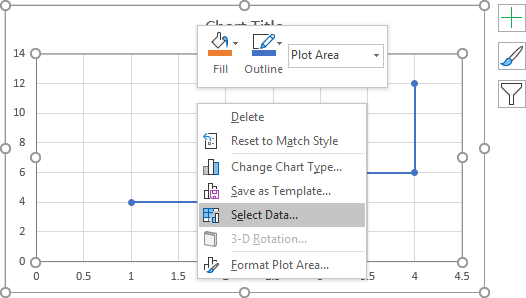 Right click on chart and then click "Select Data...". 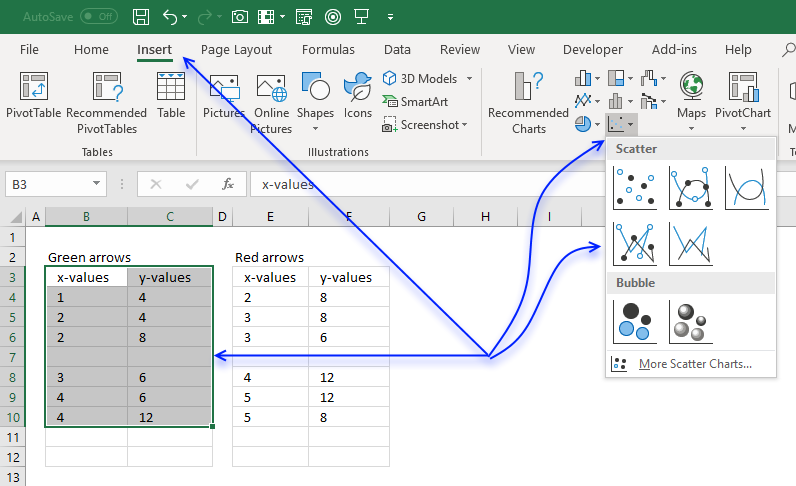 Select the x and y values. Doubleclick one of the series to open the task pane. Go to tab "Fill & Line", click the "Marker" button and then click radio button "None" to remove markers. 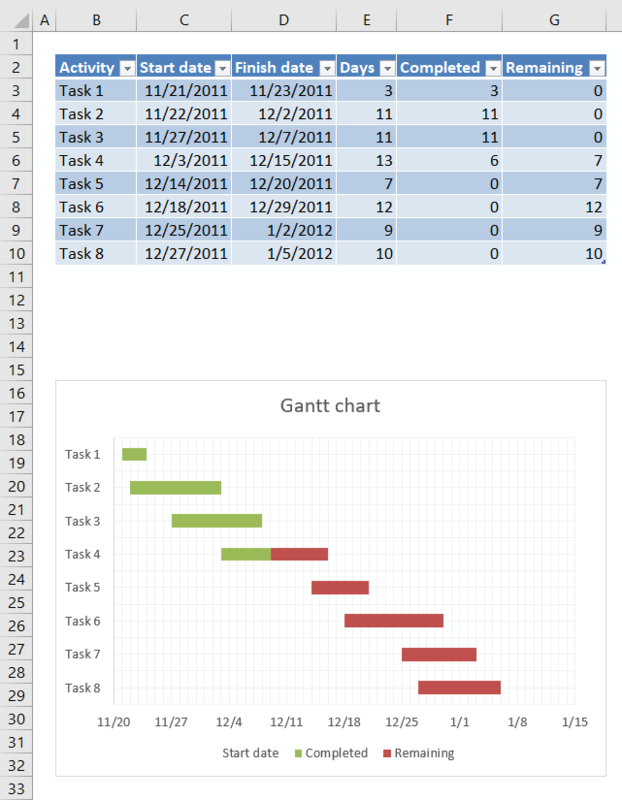 Select the other chart series and repeat the steps once again to remove the markers for the second chart series. Now go to "Line" and change the color for both chart series. 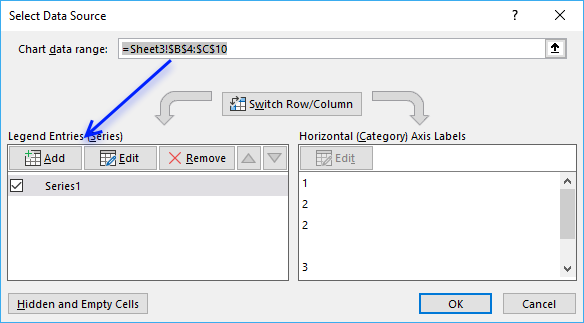 If the smoothed line check box is checked then deselect that one as well. 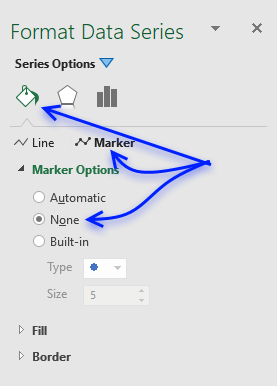 Change the "End Arrow type" and the End Arrow size" to display arrows for each line. You're help a lot, thanks so much.